A visa is required for citizens of Austria, the United Kingdom, Ireland, Spain and Italy. This can be obtained at your port of entry. The currency unit used is Turkish Lira. There is no limit on the amount of foreign currency that can be brought in. Credit cards are welcome in most hotels, restaurants, and major stores. In rural areas, however, they may not be accepted. 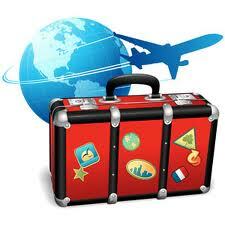 Traveler's cheques can also be easily cashed at any bank and most stores. Foreign currency can be changed in banks and also exchange offices. European standards apply. Monday to Friday are the working days, Saturday and Sunday are the week-end holidays, but on Saturdays most of the stores stay open. During the religious and secular holidays government, private offices, banks, and major stores are closed. Postal and telecommunications services in Turkey are handled by the PTT (Directorate of Post, Telephone and Telegraph). The PTT offers many different services: express and parcel mail, registered mail, telegram, facsimile and telex. Short or long distance phone calls, can be made from the PTT or you can purchase tokens and phone-cards for use in public phones. Turkish time is 2 hours ahead of GMT and 7 hours ahead of Eastern Standard time, except in the warm months when clocks are turned one hour ahead. You can buy bottled spring water everywhere in different sized clear plastic bottles. Tap water is highly chlorinated and good for general use. 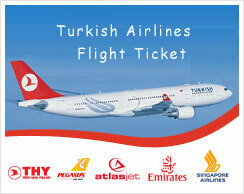 Turkish cuisine offers you a wide variety, of delicious food. The climate of Turkey has a specialty of its own. Because of the difference in altitude all four seasons can be seen in Turkey. Ask your travel agent what to expect. At all times of the year, you are expected to observe the proper respect for any place of worship (like the mosques) by covering both the shoulders and legs, and in the case of women the hair. High quality craftsmanship in areas such as carpet, leather and jewellery make Turkey a shopping paradise. Among the items that attract the attention of tourists are gold and silver products, semi-precious stones such as lapis, onyx, turquoise, pottery and ceramics, copper, inlaid wood, meerschaum.